Official login for AP CCE FA/ SA Marks Entry Online @cse.ap.gov.in. AP CCE FA/ SA Marks Entry 6th/ 7th/ 8th/ 9th Class Online Official login @cse.ap.gov.in. CCE Marks Entry for 1st to 9th Classes for Academic Year 2018-19. CCE Marks Entry Process for Primary/ UP/ High School Class for Academic Year 2018-19. 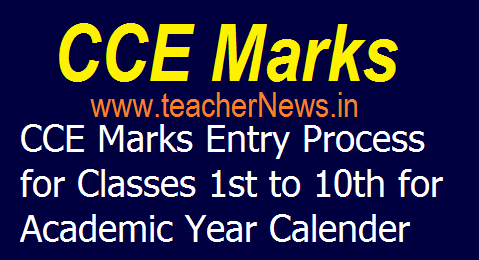 AP CCE Marks Entry Process for 1st to 10th Classes, AP CCE FA 1/ FA 2/ FA 3/ FA 4/ SA 1/SA 2 Marks Entry Uploaded for Primary/ UP/ High School in CSE web portal Certain Instructions Download. AP CCE SA-I/SA-II Marks Entry Uploaded Classes Ist Class to Xth Class for Academic Year 2018-2019 in CSE web portal Certain Instructions Step by step marks uploaded process at cseap.gov.in. AP CCE SA-I/SA-II Marks Entry Uploaded Classes Ist Class to Vth Class for Academic Year 2018-2019 in CSE web portal Certain Instructions as per CSE official website at cseap.gov.in/. Rc.No. 251/13/SCERT/2018 Dated: 01.08.2018 Sub: School Education – CCE Marks Entry for Classes I to X for Academic Year 2018-19 – SA-II, SA-III Marks Entry of Academic Year 2017-18 – Certain Instructions issued – Reg. AP CCE Marks Entry for Classes I to X for Academic Year 2018-19. All the Regional Joint Directors and District Educational Officers of School Education in the State are aware of the various quality initiatives being undertaken in the state. For the successful implementation of these initiatives, it has been found that there is a need for quality assessment data of students from Class I to Class X. In this regard, it is decided that from Academic Year 2018-19, CCE marks entry shall be ensured for Classes I to V, in addition to classes VI to X that is already being done. The online screen for uploading marks for the Academic Year 2018-19 is now enabled and available for uploading marks. In addition, for the purpose of implementing Gnana Dhaara – Learning Enhancement Program through the identification of students requiring remediation, it is decided that the SA-III Marks of Academic Year 2017-18 for classes Ito V and SA-II Marks of Academic Year 2017-18 for classes VI-IX shall be uploaded before 10.08.2018. The online screen for uploading the SA-III Marks of Academic Year 2017-­18 for classes 1-V and SA-II marks of Academic Year 2017-18 for classes VI-IX is also enabled. The link to CCE marks entry is available on the website of Commissioner of School Education (www.cse.ap.gov.in). High School Headmasters for classes Vl-X CCE marks entry is enabled only through the individual school logins already given to schools. The concerned authorities are requested to first complete the language mapping of students on the portal before proceedings to marks entry. Extension for data entry beyond the deadline will be considered for specific schools if there are genuine reasons for not uploading the marks. However, beyond 3 weeks, no extension for data entry will be given. For example, given that the deadline for conducting FA-1 of Academic Year 2018­19 is the last week of July, the Headmasters must ensure data-entry of FA-1 marks by 14.08.2018. The DEOs are requested to issue instructions to MEOs/Headmasters to start the data entry process well in advance and complete within the prescribed time. In case of any queries/issues, the concerned authorities are requested to contact APOnline by posting the query/issue on the Request Tracking System (RTS) available on the website. The DEOs are instructed to ensure that marks entry occurs on time for all Formative Assessments and Summative Assessments for speedy analysis of data so as to enable the dissemination of report cards for students, parents and other officials. It is to be noted that from the Academic Year 2019-20 onwards, Data Entry shall also take place for Formative Assessment for Classes I-V. Step 2 : Select Continuous Comprehensive Evaluation. Step 10 : And then adding students name wise marks and co-curricular Activities adding and select Submit button. CSE Official login CCE Marks Entry Process for Primary, UP, High Schools at cseap.gov.in. Step by step process in uploaded CCE Marks Entry for Classes I to X for Academic Year 2018-19.